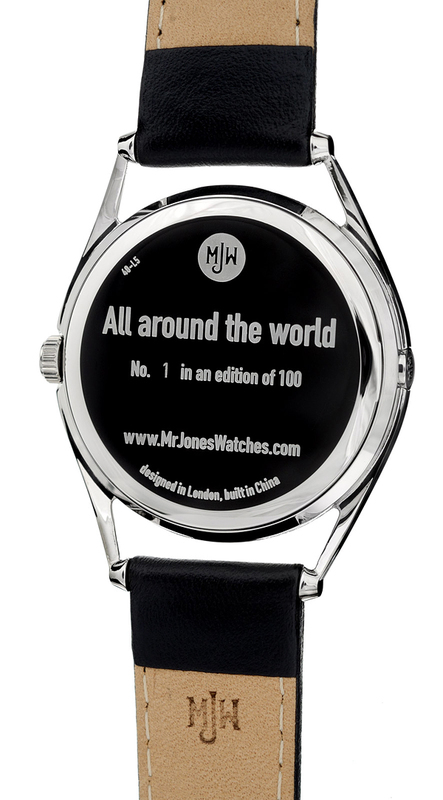 Mr Jones Watches "All Around the World"
The following watch called "All around the world" by Mr Jones Watches isn’t only another beautiful and stylish model. 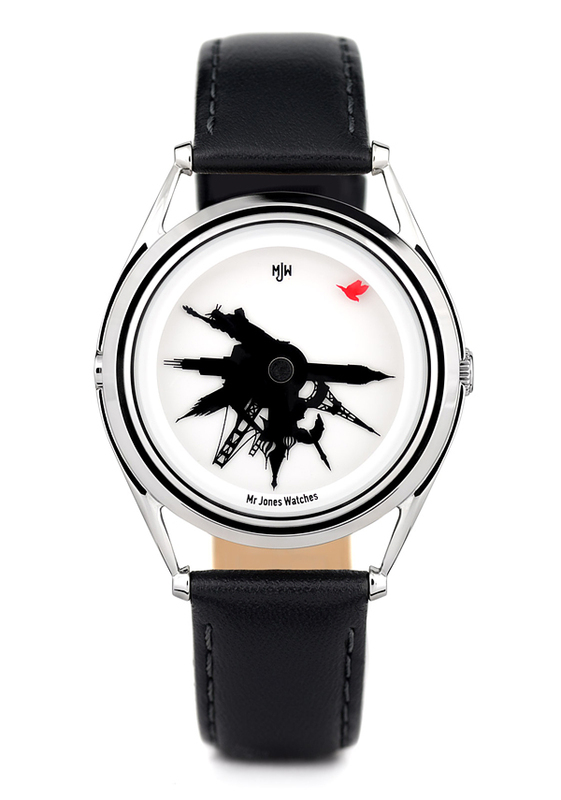 This watch allows you to visualise the time in different countries – eight are represented on the single hand. 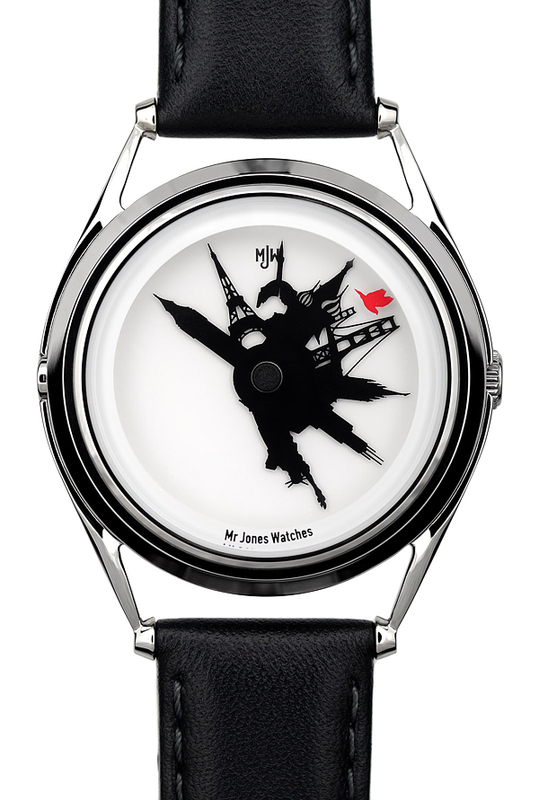 Each hand is a landmark building in a different time zone. 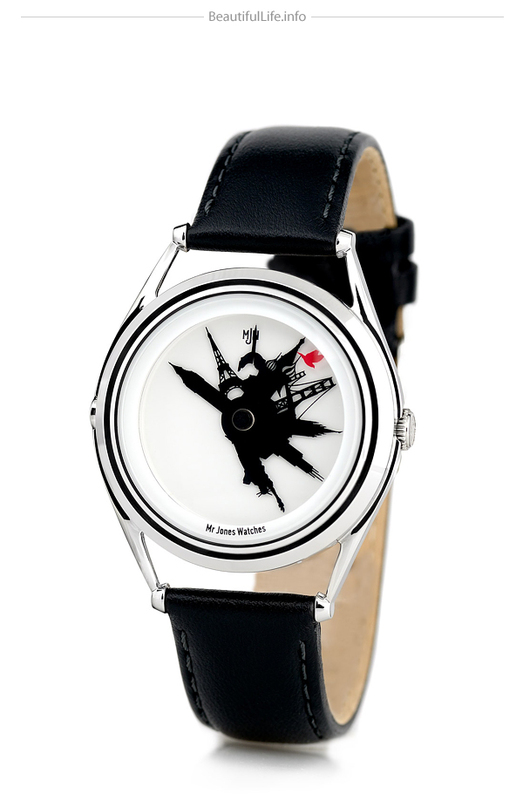 For example if you’re in London then Big Ben is the hour hand that you look at; in New York you would use Statue of Liberty as your hour marker. You can see at a glance the time in the different zones by reading it off the angle of the building. A pigeon (the universal city dweller) marks the minutes. 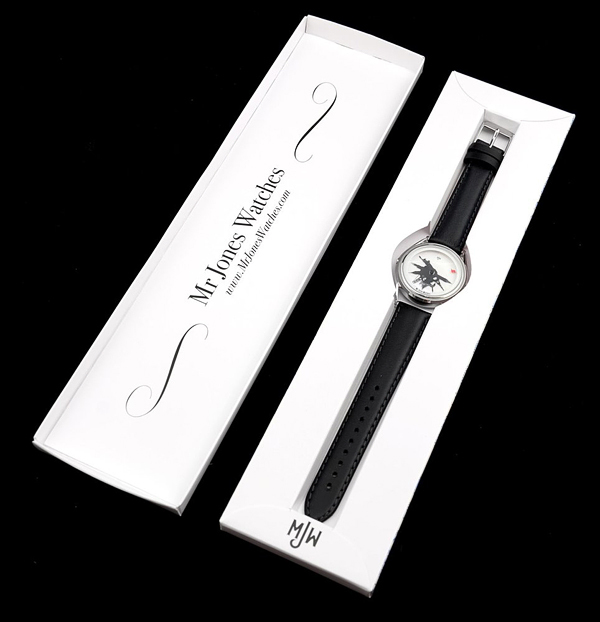 This watch is produced in an edition of 100 pieces, each one numbered on the case back and signed by the designer, Crispin Jones, on the insert card. 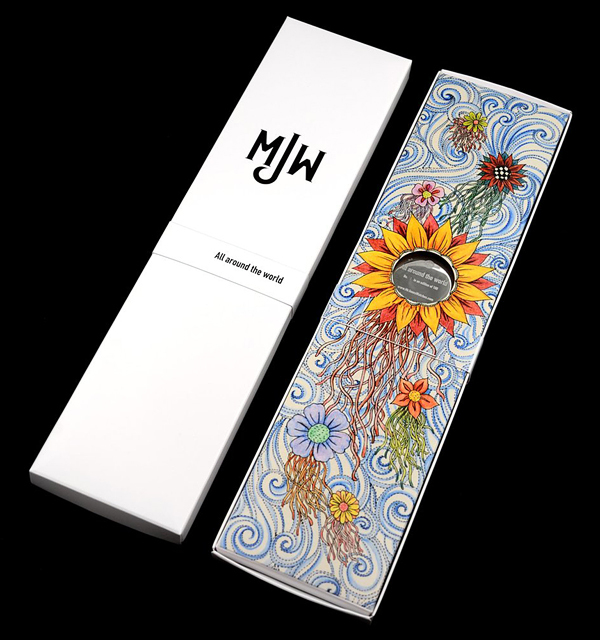 The watch comes in an MJW presentation box which features a specially commissioned artwork by illustrator Beibei Nei. 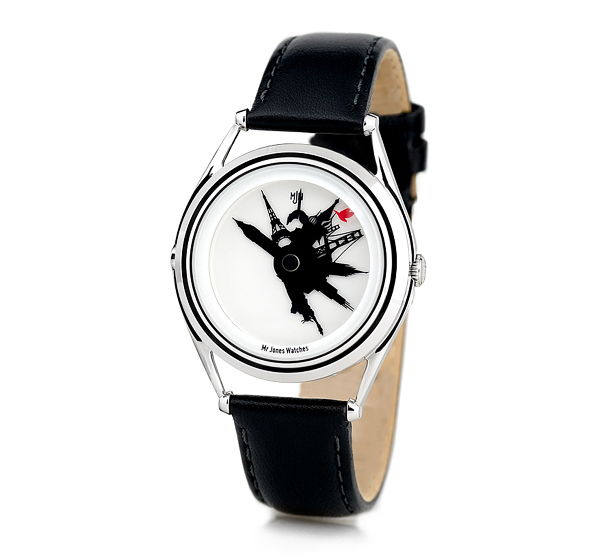 And don’t forget to check the list the most luxurious watch brands for men.